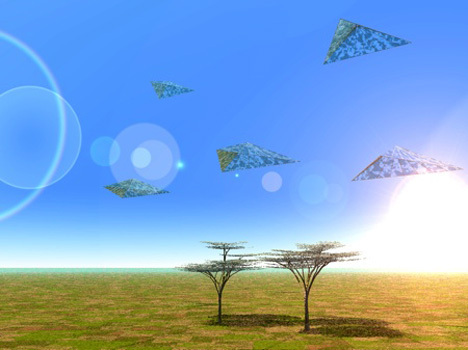 An architect pursuing a Ph.D. at the Technion-Israel Institute of Technology and his colleague have devised a low-tech way to collect dew from the air and turn it into fresh water. Their invention recently won an international competition seeking to make clean, safe water available to millions around the world. 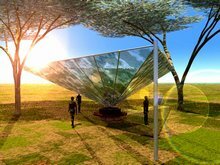 WatAir is an inverted pyramid array of panels that collects dew from the air and turns it into fresh water, in almost any climate. According to the architects, WatAir can deliver at least 48 liters of water per day and can be incorporated into both rural and urban landscapes. 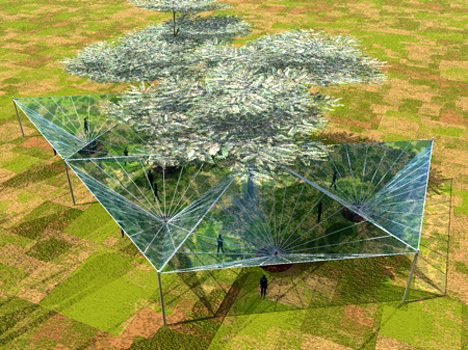 WatAir, shown here in an artistic rendering, could produce an unlimited supply of fresh water even in remote and polluted places. “Watair is a wonderfully simple concept which draws its inspiration from nature,” said competition judge Jo da Silva.